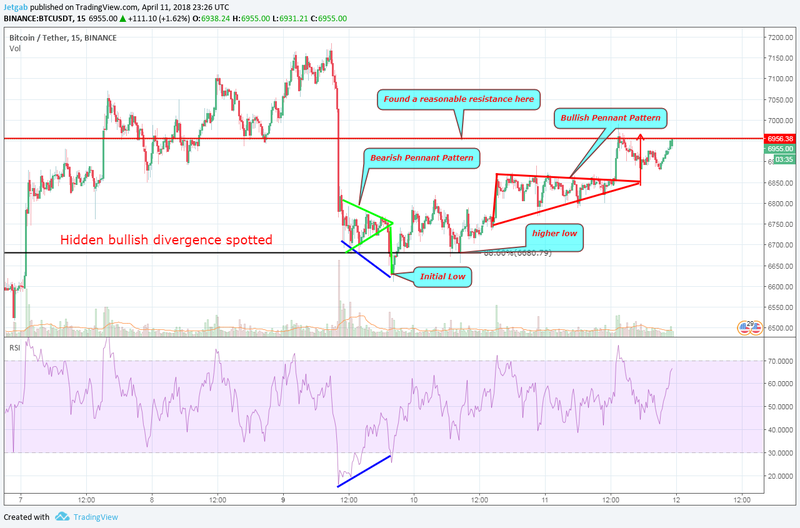 BITCOIN update: Bullish Pennant breakout? An update for the #steemitpowerupph community. I am a proud new member! Did you come up with these interpretations with a 24-hour interval basis? How will you be able to prove that this is a feasible info if your analysis is not projected on a weekly gathered stats. Please make a comparison between the daily and the weekly pattern of what Bitcoin's behavior is. In my experience, a 24-hour interval analysis is relatively short. I am not questioning your own interpretation but I would just like to know how you come up with this idea, that @steemitpowerupph should consider? So basically you are basing it with your your indicator which has shorter intervals than what I have assumed. And it may breakout. So how much time is the indicator valid if you have measured this graph for only 15 min lapses? Will this particular interpretation assure the @steemitpowerupph community be confident as well just like you stated in a verbatim manner "pretty confident" to buy BTC since it will be on a surge? in which luckily yes it's happening now at the moment? I will still check your other analysis later. Please be advised that we are now looking up to you. So always have a disclaimer. Keep it up though! 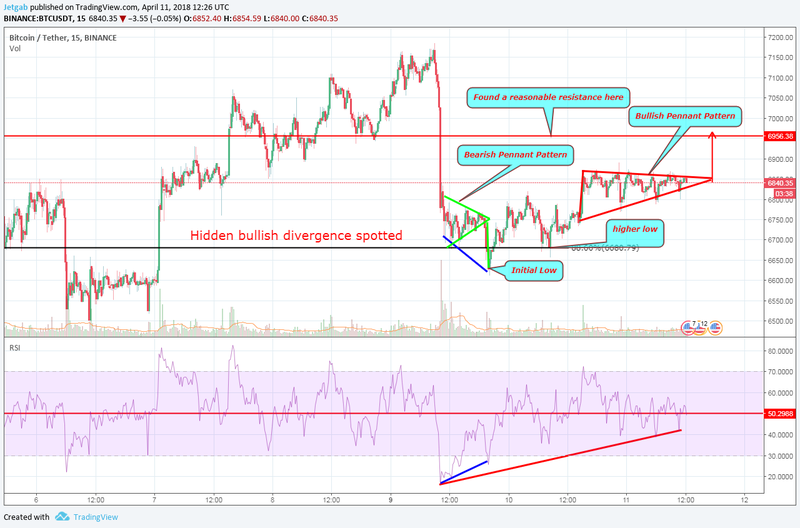 my indicators and time frame can't tell when it will be happening, i just used this time frame because this is where I saw the set up. Excellent article. I subscribed to your blog. I will follow your news. thanks also @nepeso :) I will be subscribing and following you, thank you!